Smoking often referred to as “a silent killer” has been recognized as a leading global cause of preventable death. According to WHO statistics, every year 6 million people are killed by smoking tobacco and if significant measures are not taken to curb this epidemic, this number may increase up to 8 million. It is not enough to say smoking kills your brain cells – it just kills you. Most people start smoking and get addicted to it during their teen years. Teenagers start smoking out of curiosity or just to experiment. Smokers have their own personal or social reasons for smoking. Some smokers claim that smoking helps them to cope up with the stress and is an effective mean of relaxation for them, while others enjoy it as a social activity. Easy availability and low cost also influence people to start smoking. 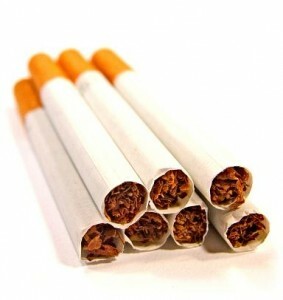 A cigarette is the most lethal, addictive and most popular form of tobacco product used worldwide. Smoking a cigarette not only poses health risks to active smokers, but also affects the health of nonsmokers who are exposed to the smoke. Most smokers are very well aware of the health risks associated with the smoking, however due to the highly addictive nature of nicotine which is the main component of tobacco they find it difficult to refrain from smoking. Including nicotine tobacco and tobacco smoke contains more than 7000 chemicals, out of which 93 chemicals are enlisted as harmful and potentially harmful constituents (HPHC) by the Food and Drug Administration (FDA). Some of these chemicals have been identified as toxic and carcinogenic in nature. These chemicals include tar, carbon monoxide, hydrogen cyanide, phenol, ammonia, formaldehyde, cadmium and several other hazardous compounds. Firsthand or second hand exposure to a large number of these chemicals is harmful to every organ in the body and greatly increase the risk of coronary heart and cardiovascular diseases, cancers (cancer of the mouth, throat, kidney, esophagus, larynx, cervical, pancreatic, and lungs), brain damage respiratory diseases, and various other tobacco related health problems. It is evident that smoking alone accounts for more than 30% of all cancer deaths. Most people start smoking and get addicted to it during their teen years. The nicotine present in tobacco is one of the strongest stimulant and most addictive drug in the world. With each inhaled smoke along with other harmful chemicals nicotine directly reaches the lungs and is quickly absorbed within 8-10 seconds. After it reaches the bloodstream it is circulated throughout the body including the brain and its cells. Nicotine is harmful to the body as it constricts the blood vessels that results in an increase in blood pressure and heart rate. Rise in blood pressure results in increased risk for stroke and heart attack. Smoking a drug is considered to the fastest way to get it into the brain. In the brain, nicotine mimics the action of norepinepherin and endorphins. Norepinephrin increases the heart rate and improves alertness and the endorphins also known as ‘the feel good’ chemicals result in the enhancement of feelings of pleasure, motivation and relaxation. Nicotine also triggers the release of dopamine, a neurotransmitter associated with the feeling of pleasure and addiction. Due to the presence of several harmful chemicals in tobacco, smoking can impair and damage brain functions. According to researchers smoking can rapidly increase the white matter volume and decrease the grey matter volume. Signs and symptoms of that include declined alertness, impaired memory and learning difficulties. These changes in the brain can lower people’s intelligence level. In order to function properly, our brain cells need a considerable supply of oxygen. However, the toxic chemicals present in tobacco damage the air sacs of the lungs and results in reduction in the capacity of the lungs to take in oxygen. This prevents sufficient oxygen from reaching the bloodstream which in turn results in low oxygen supply to the brain. Brain cells are highly sensitive to low levels of oxygen and start dying prematurely. Having these all potential adverse effects associated with smoking in mind, each person should consider the risk before deciding for the first cigarette. If you are already addicted and trying to quit without a good result, consult this with your doctor. There are many ways and medications that can help cope with nicotine craving. From a personal family experience, I totally agree with this article for cigarette’s brain damaging effects. I feel once the brain cells are damaged person loses its ability to understand the harmful effects of smoking also. Excellent information & well presented. As a wellness professional I also educate others on these facts. The tragedy is those that choose not to act upon it until it’s too late, usually when they’re suffering. When there is a label on something telling you it can kill you, it is plain stupid, reckless & careless to partake of it. What’s more these people either don’t care or don’t know how bad they reek. Their sense of smell is damaged accordingly. They must save on laundry though. I mean, why wash ‘em to smell ‘em with that trash? I don’t think smoking is good for people in general. Why it kills brain cells because the oxygen is cut off of the body and tissues dry and die because there is not enough oxygen and blood circulating through out the body. ← How to get rid of kidney stones?